Today we have a trailer that offers a glimpse of the story behind Aliens: Colonial Marines. Fans of the franchise will catch several familiar names and faces. The U.S.S. Sulaco, LV-426, Hadley's Hope, Cpl. Dwayne Hicks, they're all there. The trailer uses quick cuts, but you'll be able to see a few character cameos from the Aliens film. It looks like there will be a bit of a mystery to uncover in this bug hunt. I'm glad that the game will be more than, "Aliens! Shoot 'em!" The tense trailer offers very little in the way of any real information, but it created a good gaming mood, which is all that I ask for. Now just tell me where to shoot. 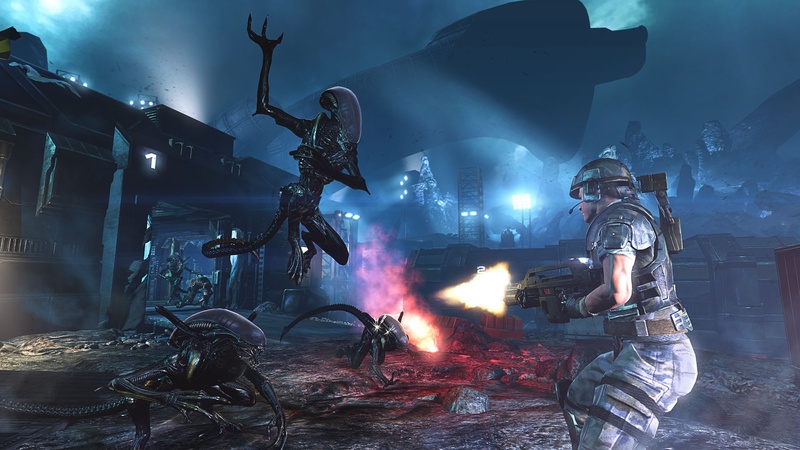 Aliens: Colonial Marines supports two player local co-op and four player online co-op. It will launch on the Xbox 360, PlayStation 3, and PC on February 12. It will come to the Wii U at a later date.